The Guardian newspaper has reported that several Conservative MPs may quit the party should Boris Johnson become the new leader in the event of Theresa May standing down or being forced out. Currently Bet365 have Boris Johnson, Michael Gove, Dominic Raab, Jeremy Hunt and Sajid Javid as the most likely to take on the Tory leadership as speculation at Westminster increases about the Prime Minister’s position. 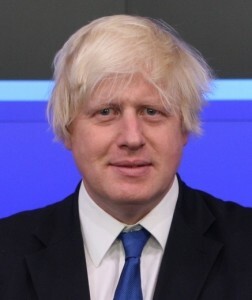 Theresa May, the Prime Minister, has today faced growing calls for Boris Johnson, the former Foreign Secretary, to be suspended from the Conservative Party over a newspaper article which has been called islamophobic. Dominic Grieve, the former Attorney General, said that he would quit the Conservative Party if Johnson became the party’s leader. Brandon Lewis, the Conservative Party chairman, and Theresa May have both called for Johnson to apologise for his newspaper article, which he has refused to do. “He set out a liberal position, but he did it in a very “alt-right” way. This allowed him to dog-whistle: to say to particular elements of the party that he’s tough on Muslims. Yet again, he’s trying to have his cake and eat it”. Brandon Lewis is expected to make a decision later on in the week on what, if any, action should be taken on Johnson. Boris Johnson, the Foreign Secretary, has expelled disappointment following the announcement of the Venezuelan election results. Nicolás Maduro, the President, was re-elected amidst allegations of electoral fraud. Sanctions are expected to be announced against Venezuela by several countries in response to the results. “I am disappointed, but not surprised, that Maduro pressed ahead with deeply flawed elections to secure his own survival. They were neither free nor fair, and have further eroded Venezuelan democracy. There is an urgent need to restore democratic order, release political prisoners, and respect the National Assembly and political opposition. The condemnation of the international community is loud and clear. We shall work closely with our EU and regional partners in the coming weeks to determine how we can continue to support a political resolution. I remain deeply concerned by the man-made humanitarian and economic crisis, which is growing worse by the day. I urge the Venezuelan government to take immediate action, and let the international community deliver essential food and medicines. The suffering of ordinary Venezuelan people cannot be allowed to continue”. Boris Johnson, the Foreign Secretary, has welcomed news that the North Korean and South Korean Governments have reached agreement to get rid of their nuclear weapons. “I welcome the announcement that the two Koreas will work towards the complete, verifiable, and irreversible denuclearisation of North Korea, improve bilateral ties and reduce border tensions. This historic summit is not the end in itself. There are still many questions to be answered. Kim Jong Un’s commitment to halt all nuclear and intercontinental and intermediate range ballistic missiles tests is a positive step. We hope this indicates an intention to negotiate in good faith and that Kim has heeded the clear message to North Korea that only a change of course can bring the security and prosperity it claims to seek. The UK will continue to work with our international partners to strictly enforce existing sanctions until such time that North Korea turns its commitments into concrete steps towards denuclearisation”. “KOREAN WAR TO END! The United States, and all of its GREAT people, should be very proud of what is now taking place in Korea!”. 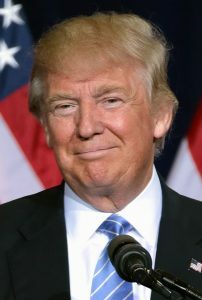 Donald Trump, the President of the United States, has confirmed that he will be visiting the UK on Friday 13 July 2018. A spokesperson for the Prime Minister has said that more details about the visit will be announced in due course. “FANTASTIC news that President @realdonaldtrump will at last come to Britain on 13 July. Looking forward to seeing our closest ally and friend on the GREATest visit ever”. “If he comes to London, President Trump will experience an open and diverse city that has always chosen unity over division and hope over fear. He will also no doubt see that Londoners hold their liberal values of freedom of speech very dear”. 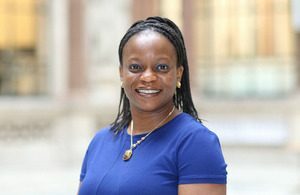 Boris Johnson, the Foreign Secretary, has confirmed the appointment of NneNne Iwuji-Eme as the new High Commissioner to Mozambique. She will begin her new role in July 2018 and she replaces Joanna Kuenssberg. Iwuji-Eme is currently the Deputy Prosperity Consul /Head of Prosperity in San Paulo, a role she has held since 2015. “It is an honour and a privilege to be appointed High Commissioner to Mozambique. I hope my appointment as the first British black female career diplomat to this position will inspire young talent, regardless of race or background, to pursue their ambitions in the Foreign Office. I look forward to forging even stronger connections between Britain and Mozambique two close members of the Commonwealth family”. Boris Johnson, the Foreign Secretary, has confirmed the appointment of Cat Smith as the new Ambassador to Mali. She will begin her new role in April 2018 and she replaces Alice Walpole. 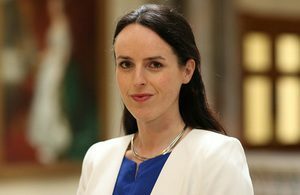 Smith was previously the Deputy Head of Mission in Addis Abada, a role she has held since 2015. In addition to her new role, Smith will also be the non-resident Ambassador to the Republic of Niger.